It’s been a long time since a new Revenant device crossed my desk. 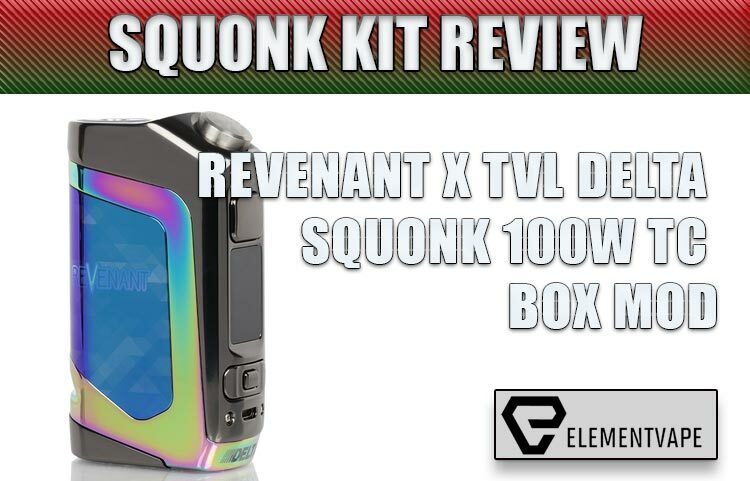 But that previous device – the awesome Cartel box mod – is still in regular rotation each week, so needless to say, the all-new Revenant x TVL Delta Squonk Box Mod had my attention. In a very big way. 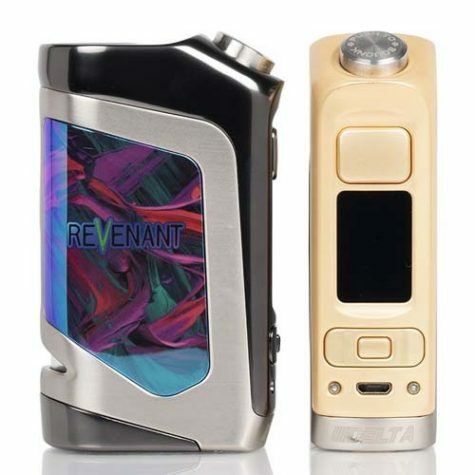 Normally, I wouldn’t get too excited by a squonker, but leave it to Revenant (and to a lesser extent, Vaporesso, which manufactures it) to change the game. 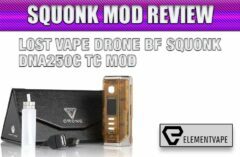 After all, squonk mods are pretty standard devices – hollow box, squishy bottle, occasional mess, lather, rinse, repeat. Well, not only does the Delta completely try to rework how squonk mechanics operate, but they surround these mechanics with one of the nicest exteriors I’ve seen in a while. It’s not technically any different than the zillion other zinc alloy chassis we’ve seen, except for the absolutely pristine, second-to-none manufacturing. I mean, this thing is visually flawless, top to bottom. The functional portions of the Delta are just as pretty, with smoothly machined operations, including a third-button/action key that’s more than welcome. And operating the menu trees on the attractive 1-inch display is a breeze, with simple navigation, and decent battery life, no matter which of the three cell formats you choose, 18650, 20700 or 21700. 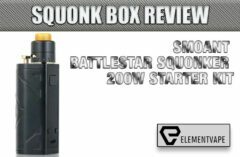 The rock-solid fire key is clicky and responsive, while the angled, top-mounted squonk button has a good feel – not too stiff, but also not too loose. 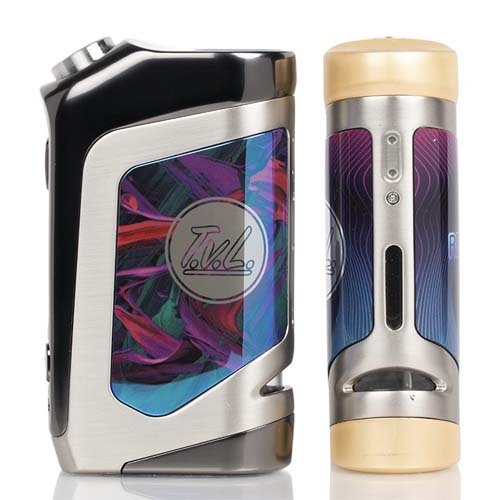 I suppose that serves as a good segue to the Delta’s primary selling point – what makes it so unique among the litany of bottom-feed squonk mods out there – the internal, mechanical squonk action. 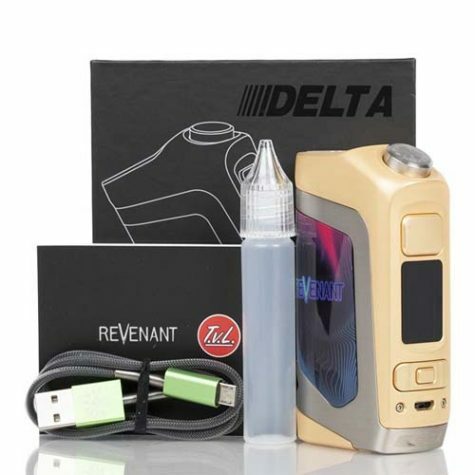 Instead of leaving the lion’s share of the functionality to an exposed rubber bottle, the Delta utilizes a permanent (but removable) reservoir, and an internal air pressure system to move e-liquid from the tank to the coils. 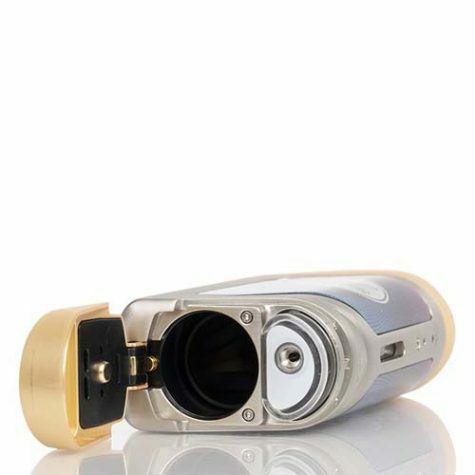 While we’ve seen some minor developments in squonk mods these last few months, with things like top-filling and different bottle shapes, this is the first time I’ve seen something so integrated. And, in a nice touch, you can either fill the tank section by removing it, or through a small, convenient port at the bottom using the included needle-tip bottle. Kudos, Revenant. The problem is, it simply doesn’t work as well as the existing standard. No matter how much e-liquid sat in the reservoir, I never was able to adequately fill my deck, leading to more than a few dry hits. I tinkered as much as the device would allow, but there just isn’t enough airflow created by the button to generate a good flow of liquid. 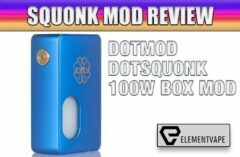 This might be welcome for serial over-squeezers, but having to squeeze 10-20 times when 1-2 would work on a standard squonk mod? Not fun, no matter how nice the Delta’s design is. Even longer, held presses wouldn’t coax more liquid out with each pump, forcing me to frantically mash that key until there was enough juice to coat my wicks. But I need to credit Revenant for coming up with something truly unique. Not only is the internal bottle/reservoir design more childproof and protected, but it hints at better implementation of this design moving forward. And I’m confident that’s exactly what will happen… but this idea just isn’t quite ready yet. Another highlight is the OMNI Board 4.0 chipset, which offers, smooth, effortless ramping, all the way to the Delta’s stated 100 watts. I secretly wished I had a touch more headroom on the mod, but that quickly went away once I realized how potent the draws were at half that total. While I never really spent much time messing around the menus – it’s “wattage” and “normal” for this guy – it’s pretty clear the OMNI chipset does what it does very well, even if it might be overkill for a mod with these specs. Once the squonk gymnastics were figured out, the Delta performed admirably. 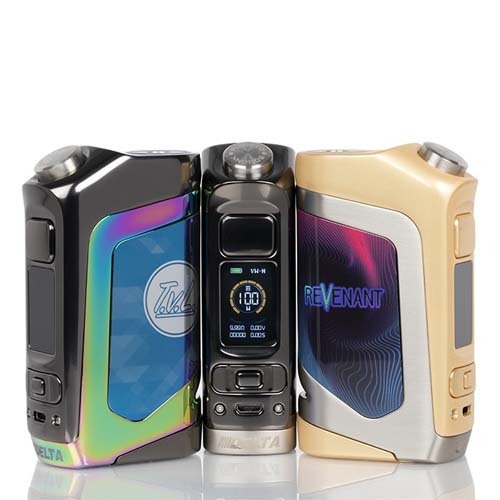 The mod is available as part of a kit with a TVL-designed RDA, but I didn’t get one of those. So, I attached several of my favorite go-to drippers and went to town. Overall, all RDAs worked well, with only one older one struggling to get any liquid flow, likely due to some aging parts. But, as mentioned earlier, the Delta’s main selling point is also its biggest letdown – the flawed, low-pressure squonk mechanics. There were several times during my testing where I noticed some dry hits, so I gave the button three to four GOOD squeezes, in hopes of seeing an ample amount of juice on my deck. Instead, there were trickles, leading to some serious button mashing to get any results. 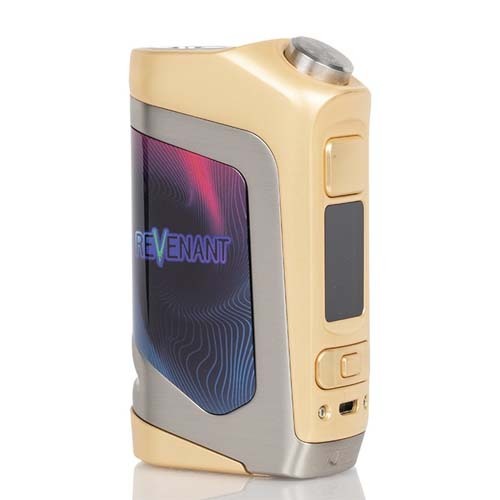 I tried finagling with the connections, and using different BF-RDAs, but ultimately, even with some working better than others, there just isn’t enough of a vacuum to make this a viable system. On paper, it makes a boatload of sense, but the design just isn’t ready for prime time. If that doesn’t bother you, then know that the rest of my experience with the Delta was completely awesome. With fully soaked wicks, the fast-ramping Delta produced smooth, flavorful draws every time, with no stutters or missteps along the way. I rarely felt a need to tinker with the settings, nor did I ever once find myself wishing for features or options that weren’t there. Most importantly, the device just FEELS higher-end. 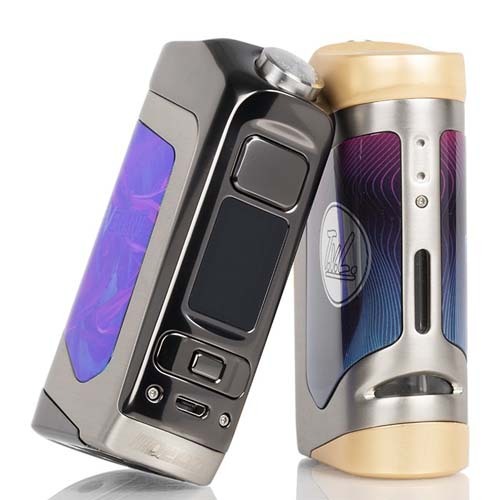 Maybe not as high-end as the price tag indicates, but there’s a definite difference between holding the Delta and a standard, run of the mill squonk box. It’s solid, weighty and confident in the hand – something I haven’t been able to say about too many squonk devices over the years. Finally, I have to comment on the lack of temp control or TCR in my current build. 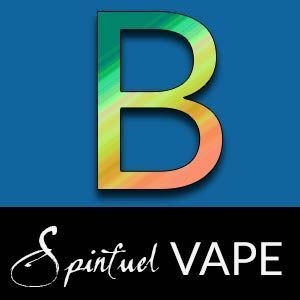 I’m not sure if there’s a firmware update that will add these functions, but the OMNI chipset seems awfully “big” for a wattage-only mod. I imagine these functions are coming down the line, and to be honest, I rarely ever vape in TC modes. But I can see some vapers being frustrated with the lack of modes, even with power performance that’s downright outstanding. Given another month on the R&D line, I bet the Revenant x TVL Delta squonk box would have been an A or even A+ mod. But I just can’t get past the limp, ineffective squonk mechanics. What should have been a slam dunk design is now just a prototype for something better in the near future. Maybe that’s fine for a guy who gets these devices to test. It’s probably not as fine for someone who saves up to buy high-end vape devices. I’m giving the Delta a solid B, because what it does, it does well. But a little more tweaking would have made this an instant classic, and a benchmark for this style of vape device. I imagine the Revenant team is already on it, and fingers are crossed we don’t have to say the same thing in that review.